December Daily is intended to last from December 1st to December 25th and to chronicle a story each day. However my book is more of a diary and less about the story. I am really pleased to say that I have finished the book to December 25th. Here are my pages from December 18th. I chose a photo a day from the last week to put in the pockets on the left. I am going to include photos from December 26th to 31st. I have put two page protectors in the binder ready and will put all of those in tomorrow. Thank you so much for following along with my December Daily and with my blog over this year. I have enjoyed your company and your comments. Glimpses of Jesus in the Old Testament is a year long bible study written by Simon Clay of Jubilee Church Solihull. We have come to the last blog post but if you have only just found us then why not start at the beginning. You will find the start here: Creation. I decided to use the artwork designed by Crystal Stine for the Advent study I've been reading by Kris Cameally: The Weight of Waiting. My last December Daily post took us to December 11th. On December 12th we flew to Malta. My DD pages for 12th - 17th December are a diary of what we did and where we went in Malta. I bought some postcards to use for the journaling. Today's post is about how Jesus came in humility both as a baby and in his entrance to Jerusalem at the end of his life. 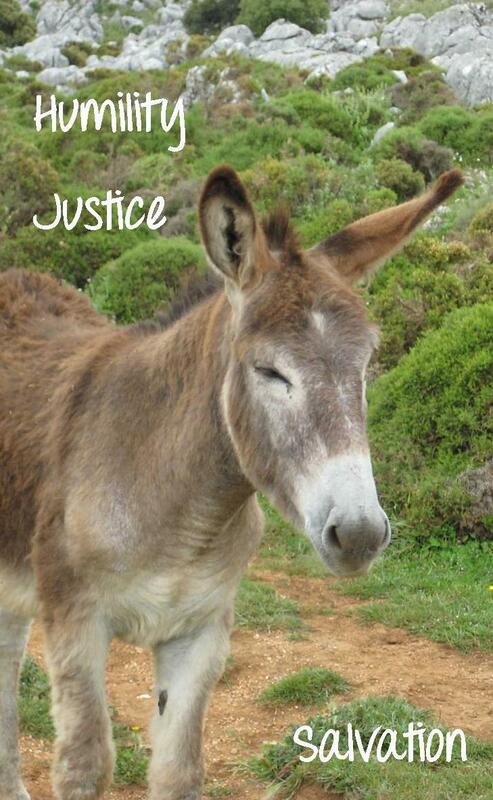 I found a picture of a donkey and put the three words on that struck me most in Simon's blog post. Last December Daily blog post I showed you 7 days all in one go which seemed rather a lot, so this time I'm only showing you 4 days. Although there does still seem to be a lot of photos. I changed quite a few of the pages around and moved some of the pages into a different order. The first few photos show the foundation pages and the next sequence shows what I did with them. Our neighbours moved out on Day 8. The photo of the removal van lifts up and the journaling is underneath. I included the lights from some of the other houses in the road for day 8. The photos didn't turn out as well as I had hoped so I collaged all 3 sets of lights into one photo. There wasn't a story for day 9. On day 10 my small group from church got together for our first ever brunch. I moved the tree acetate and put day 11 before the diary page. The photos tell the story. We have put the Christmas Tree in the conservatory as our 17 month old grandson is coming to stay. I printed the photo and cut it into 4 pieces to put in the pockets but I cut them the wrong size. I decided rather than reprint the photo I would stick the pieces back together on the outside of the page protector. I also wrapped some presents that day. I've never been so well prepared for Christmas! 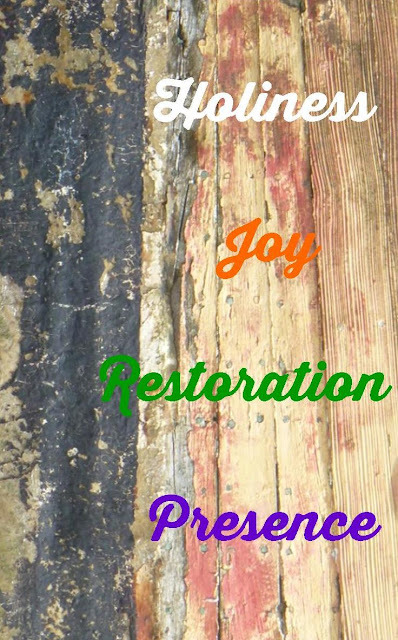 Today's post is about the characteristics of the people who follow God in Zephaniah 3:8-20. I thought I would use a photo I had taken of a decaying boat as a background and put the four characteristics over the photo. You may remember that I said I was going to do December Daily this year in this Preparation post. In this post I thought I would show you what happened to the cover and the first few pages. I added some washi tape and some wire stars on the front and tied some ribbon round the spine of the binder. This title page didn't change much. I just added a little wooden tree. tree. Here is the start of the pages. I printed out a large version of a scripture from the Advent Study I'm following: Kris Cameally's The Weight of Waiting. I particularly like this verse. I changed some of the things around in the 2x2" pockets page. This shows the back of the original layout of the pockets and the start of the diary page. I added some 'toppers' from last year's Christmas Card from Sandie and added a wooden hexagon. This was going to be my Day 2 page but as I hadn't done Day 1 in the place I had planned I had to move it to here. I typed up my Intentions and stuck it to the back of the diary page. I stamped 'joy' on the card and wrote about the Thursday evening meeting of my Lifegroup from church. I moved the No. ONE from the pockets and put it here with one of the Advent study pieces of artwork. This was planned for Day 3. However it became both Day 2 and Day3. I wrote about feeling that I don't have a story to tell each day but that I am determined to finish the project even if it turns out more like a diary. On Day 3 I was on my ExTex course and we were all invited to Dia's for a meal on Saturday evening. I took some photos whilst I was there. The next page doesn't really belong to a particular day. I was given permission to download Donna's photo of her table decoration and I thought I would put it here. I also wrote about what happened the night before at Dia's. I filled the other two pockets with decoration. My cousin gave me a Christmas Card when we met up on November 29th. I have put the card in here because I thought it fitted well with the background page.. We are meeting up again on December 20th so I will come back to write inside the card about our getting together. In the morning of Day 5 we FaceTimed with our son, daughter-in-law and grandson. A bit later Naomi put a short video on Instagram and I was able to snip a photo of Crusoe from it. I put it into Publisher and put my journaling onto the photo. In the evening the ladies that I meet with monthly to play with mixed media came and collaged a photo of what they each did. I only needed to do something on the large left hand side. I had a really frustrating day and I didn't have a story that I wanted to tell. I saw a page in the DD group that Amy had done for day 5 and I thought I could use the idea for Day 6. I found some different sizes of 6 in the colour scheme I am using. I found some arrows washi tape and put it on in groups of down and up arrows. I wrote what had frustrated me by the down arrow and the good I could find in the situation next to the up arrow. It certainly eased the frustrations finding a different point of view. I was stuck for what to write for Day 7. Roger had helped make the window logo stickers look better and then I had worked on my December Daily book. I didn't have much room either so I took a photo of the sum total of my preparations for Christmas and using Publisher wrote a sentence on the photo before printing it out. 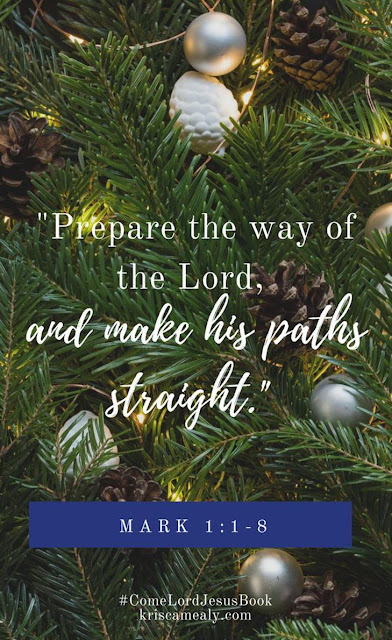 I put the artwork for the Advent Study and the number. Between day 6 and day 7 there was a transparency which I stuck a wooden reindeer onto.